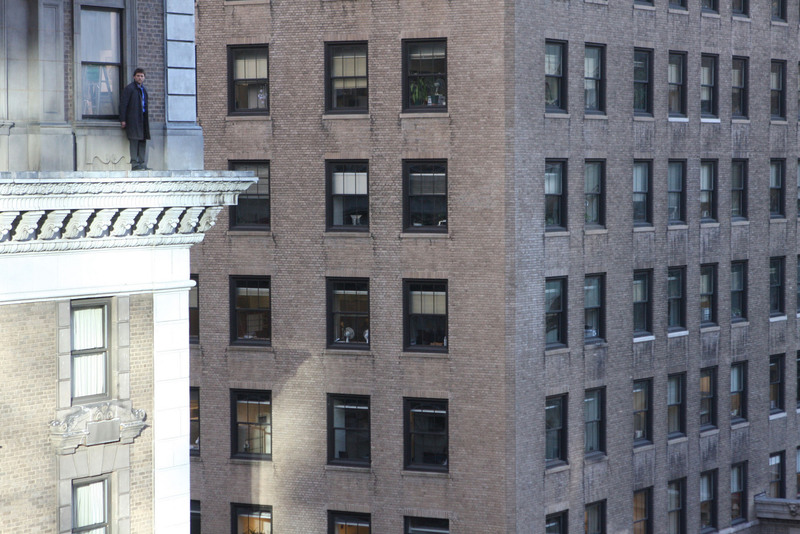 Sam in "Man on a Ledge" still. . HD Wallpaper and background images in the Sam Worthington club tagged: sam worthington man on a ledge 2012 still photo nick cassidy. This Sam Worthington photo contains brownstone, row house, town house, street, city scene, and urban setting.